Tom is a life time resident of Western, PA and has a wife, Thresa and one daughter Sarah. 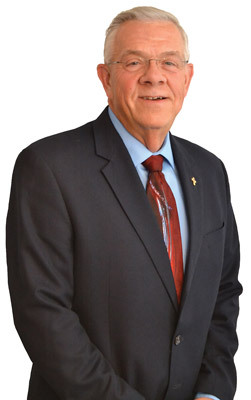 Tom started in the financial services industry in 1976, and is the founder and President of 1st Consultants, Inc. He is also the Professional speaker for Financial Curves, Inc. Tom is a Financial Professional, a published author, professional speaker and a radio personality. Tom earned the 2010 Beaver County Times Best of the Valley Readers' Choice Award for best Financial Planner, and honorable mention in 2011. He has been recognized by Pittsburgh Magazine as a Top-Scoring Wealth Manager. Tom has been named 2004 Business Man of the Year by the National Republican Congressional Committee's Business Advisory Council and is also the recipient of the 2004 Ronald Reagan Gold Medal Award. Tom has also earned several professional designations such as Chartered Life Underwriter (CLU), Chartered Financial Consultant (ChFC) and Registered Financial Consultant (RFC). Tom has been certified with College Planning Relief, to provide clients with solutions that address multiple financial goals simultaneously: paying for college, home ownership, retirement income, and lifestyle. Along with these designations, Tom is also a former National Field Trainer for LEAP™ Systems, Inc. He is a member of the National Ethics Bureau. He has served on the Board of Directors for the American Red Cross - Beaver Chapter, Beaver County Chamber of Commerce and the Beaver Area Chamber of Commerce. He is a member of the Beaver, Rochester, and Beaver County Chamber of Commerce, and a member of the Knights of Columbus. Tom received the Rochester Area Chamber of Commerce Service to the Community Award in 2014. Tom is also a member of the prestigious "MDRT" (Million Dollar Round Table), 24 years as a qualifying and lifetime member. Tom was invited to speak at the MDRT Connection Zone in Philadelphia, PA (2013), Toronto, Ontario Canada (2014) and New Orleans, LA (2015). He has earned Court of the Table and Top of the Table; distinguishing himself within the industry through their superior performance by producing at a level three times that of MDRT membership requirements. Achieving membership in MDRT's Court of the Table is a career milestone attained only by those who have demonstrated exceptional professional knowledge, client service and ethical conduct. Million Dollar Round Table's Top of the Table is an exclusive forum for the world's most successful life insurance and financial services professionals. As a Certified Life Coach, Tom works as an overall financial coach for his clients. Tom has also been certified as a Human Behavior Consultant. Tom is a charter member of the National Association of Insurance and Financial Advisors as well as a member of the Society of Financial Service Professionals. Many of our articles, videos, and podcasts require you to register for the site. Are you ready to see how 1st Consultants, Inc. can help you? Any link or web address provided and any information therein is not being promoted, endorsed, or recommended by 1st Consultants, Inc. The links are provided for informational purposes only and are not being endorsed or recommended. By clicking on the link, you are going into those websites at your own risk. The information, products, or services provided by the links or web addresses cannot be guaranteed to be complete or suitable for anyone. Accordingly, 1st Consultants, Inc. expressly disclaims any responsibility for the content or accuracy of the information provided from its website. Prior to making any decisions based on the information provided by their sites, please consult competent legal, tax, accounting, and investment verbal counsel.